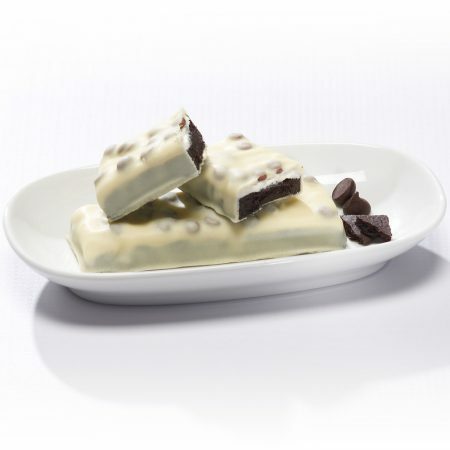 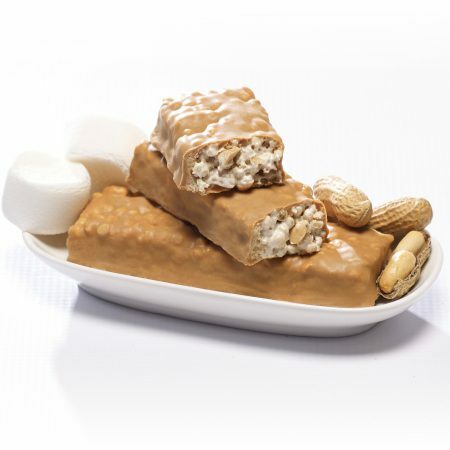 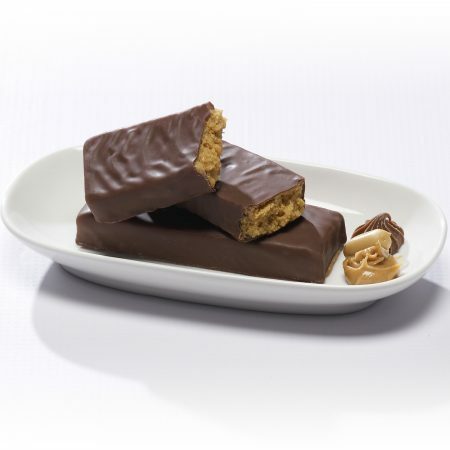 The Low Carb Salty Toffee Pretzel Bar is a crunchy bar that has been covered with a creamy Toffee glaze and filled with large chunks of salty pretzels. 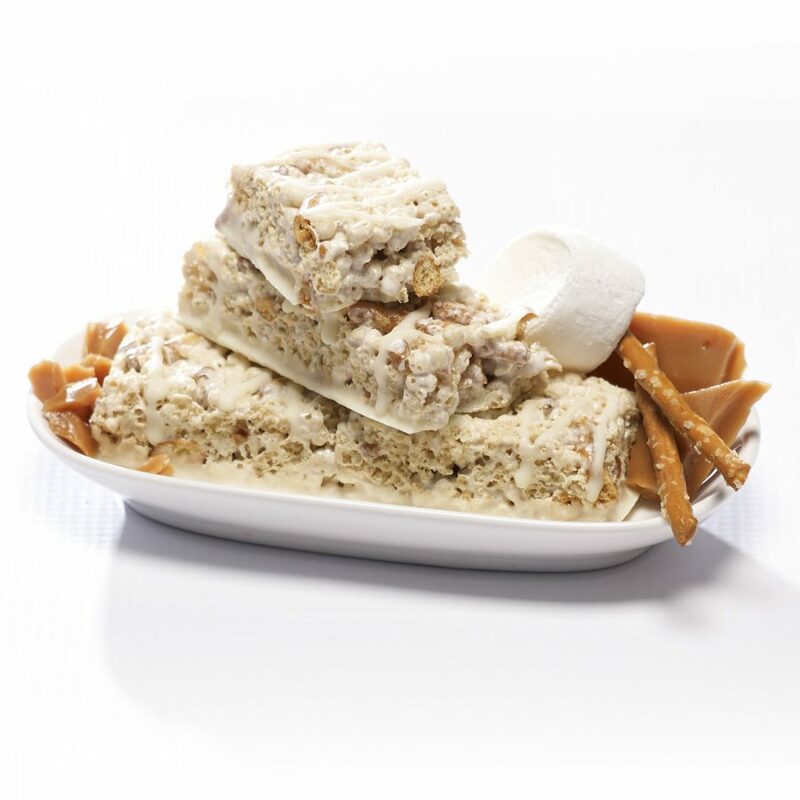 It is the perfect salty sweet treat! 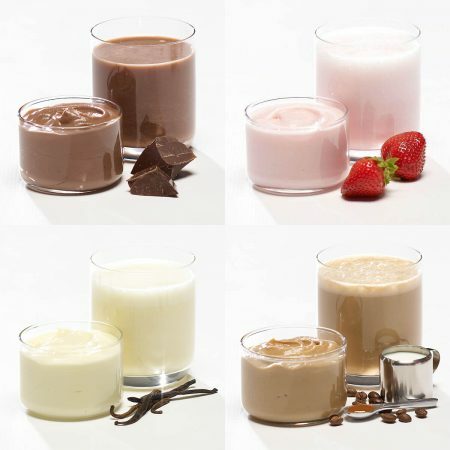 Ingredients: Protein blend (soy protein isolate, milk protein concentrate, whey protein concentrate, whey protein isolate), isomalto-oligosaccharide, vegetable oil (palm kernel oil, palm oil, shea oil, sunflower oil), tapioca starch, polydextrose, glycerin, sugar, organic invert sugar, butter, water, corn starch, soy flour, natural and artificial flavors (peanuts), sesame seeds, yogurt powder (cultured non-fat milk solids), inulin, salt, dried egg-white, roasted almonds, calcium carbonate, milk ingredients (non-fat milk, milk fat, milk), pea fiber, agar, vanilla extract, rice syrup, cocoa butter, soy lecithin, sucralose (non-nutritive sweetener), xanthan gum, monocalcium phosphate, sodium bicarbonate, tocopherols, yeast, unsweetened chocolate, lactose, sodium hydroxide.